Who Should Get Great Lakes Water? Over 1000 researchers are planning to gather in Detroit this weekend for a Conference on the Great Lakes. In this age of water quality concerns, more municipalities are trying to get Great Lakes water. But who should get it? 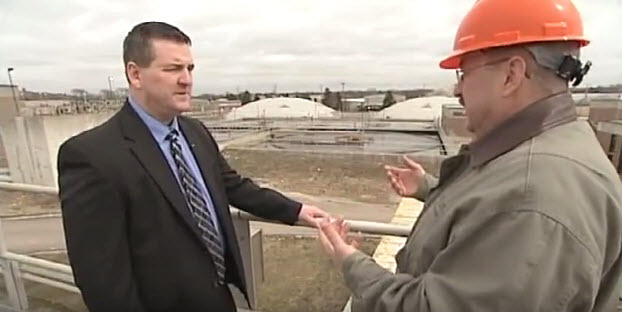 In today’s video from the Building Wisconsin TV series, we learn more about the City of Waukesha’s application to borrow Great Lakes water, how water is treated and some of the contaminants we don’t always see in our water. Host Stuart Keith meets with Waukesha Mayor Shawn Reilly, Dan Duchniak from Waukesha Water Utility and Steve Breitlow and plumbing instructor Justin Castleman from Plumbers Local 75.